I don't follow up too much on the Age of Sigmar Campaigns so I'm a bit late but I do love me my Free Guild and I did notice this nice looking city right here from the Gate of Stars campaign and wanted to know a bit more about it, since I couldn't find any info on it online. What is that bottom unit? 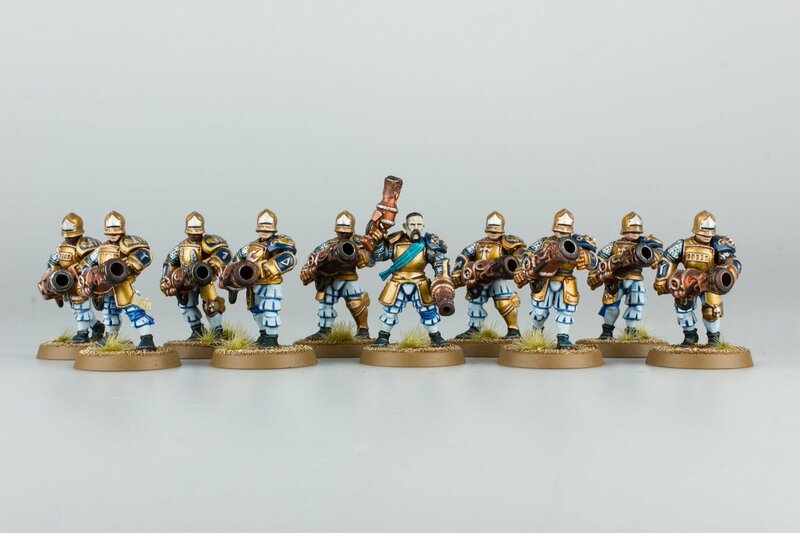 Their handgunners converted to use dwarf iron drake guns. A lot of the freeguild units in the recent white dwarves have been heavily converted using bits from all the Order races. I agree with warlord. The white and gold is a really cool shock to the system. Aye same here I'm just tempted to make my own, the city itself is a beauty though and judging by the name (and that the army used in the campaign was freeguild) I was hoping this would be a glimpse of one of the freeguild's factions. I couldn't find any more info than what you have already here. Chris Peach did use his army for a number of games on the Warhammer Live Twitch stream when they first started on Twitch. If you subscribe to that, then perhaps you can go back and try and watch those games featuring the army, you might pick up some of the background from them talking about it. So basically at least $140 AUD for a unit of 10 guys. Hmmm. Probably a bit more. Looking at it more closely aren't the chest pieces from Great swords? I think they are a sweet kit bash, but I'm certainly not going to run out to buy the stuff just to make them. Thanks! I hope he still uses this army so they could talk more about it, looks like I got some catching up to do I didn't expect to see a Freeguild only city in the campaigns. 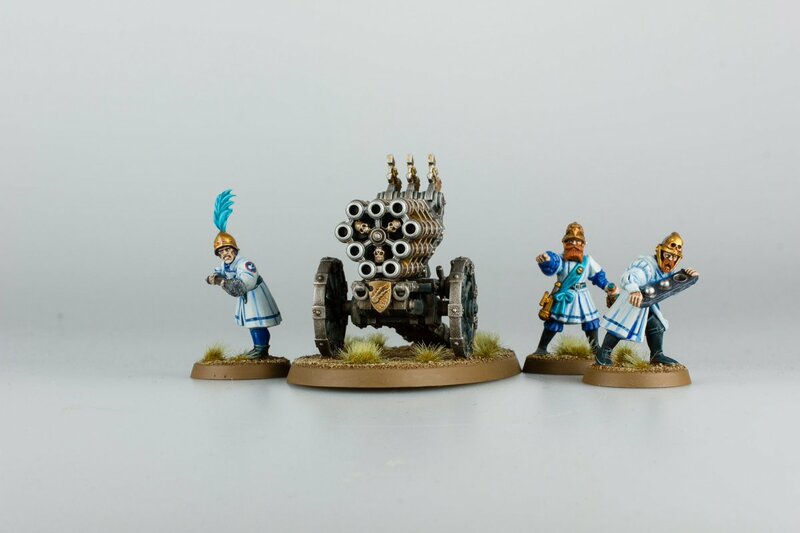 I Pray this is the "Reikland/Altdorf II" I have been looking for in Age of Sigmar, so much potential. I don't think it's an exclusively human city. 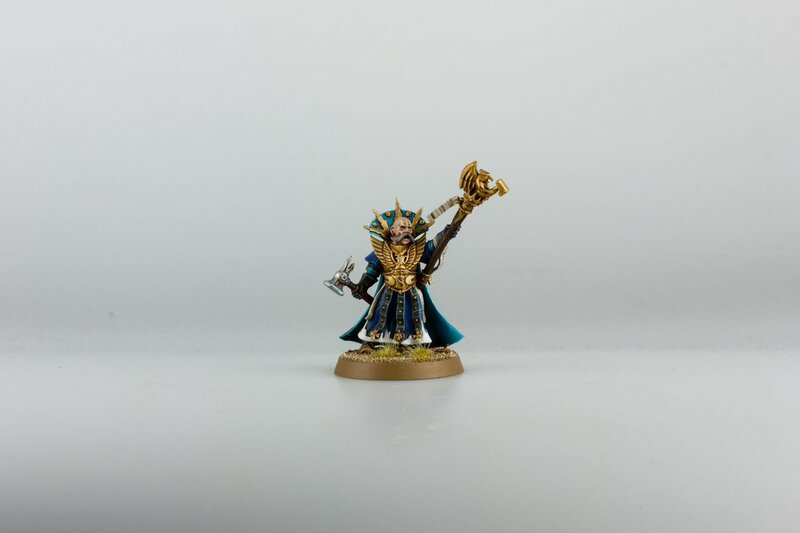 He had aelves and humans and some duardin in his Freeguild conversions. And sometimes led by a stormcast Hero or two. I think from my memory it's a city populated with settlers from Azyrheim. I personally don't mind if the hallowguild was a little bit diverse but dominated by the Imperials of old (like if there was an underground Dark elf/corsair crime ring or a slaaneshi cult, or a couple of dwarfs who live there like they did Altdorf that might be nice ) I just want the states to reform again perhaps this time as Guild cities. "More reinforcements for the Hallow guild"
"Other Aqshy units to assist Hallowguild in the fight."